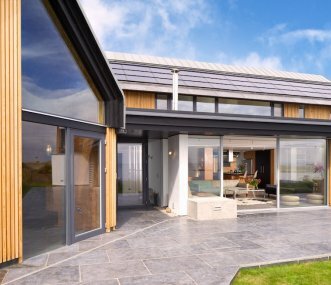 Mid Rock House is a spectacular, spacious beach house in the delightful holiday village of Elie. 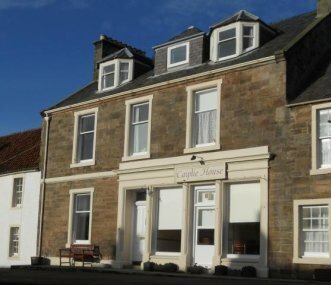 It sleeps 12 comfortably, is very well equipped/located and has great sea views. 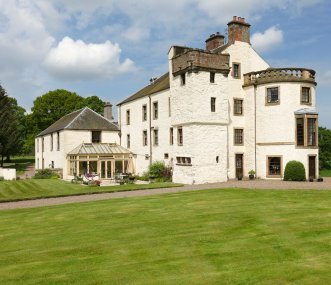 Situated in 100 acres of parkland, Pitcairlie Mansion House is a true Laird's home. It's a wonderful house for entertaining and is ideal for weddings, corporate dinners and special occasions. Davaar is a completely refurbished 5 bedroom house with a 2 bed annex, sleeping 14 people. It has a wrap around garden with sea views. 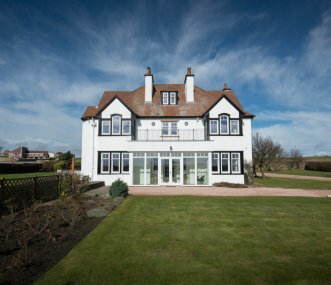 Situated on the golf course in Elie. Close to the beach. 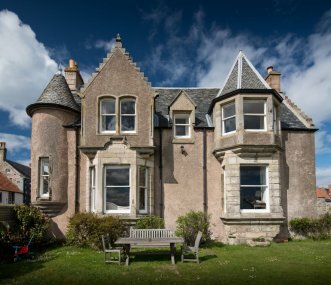 Large Victorian house, in the picturesque fishing village of Crail, Fife. Sleeping 14 in ensuite rooms it is ideal for group stays. 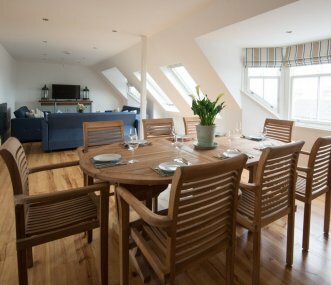 Enjoy the harbour, beach or coastal walks or nearby St Andrews. 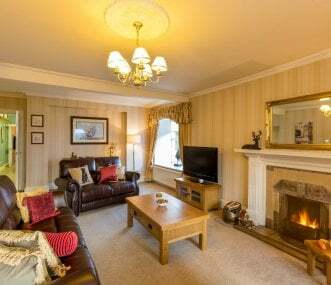 Group of 3 luxury holiday cottages sleeping 14, pet friendly, with fully inclusive leisure facilities: indoor pool, indoor and outdoor hot tubs, games room, outdoor play area, outdoor tennis court. 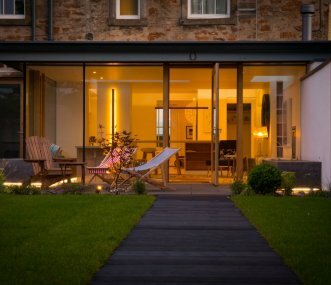 Enjoy luxury accommodation in St Andrews, Scotland, with stunning surroundings and mind blowing views over the North Sea and Tay Estuary. Overlooking the Torrance Golf Course. 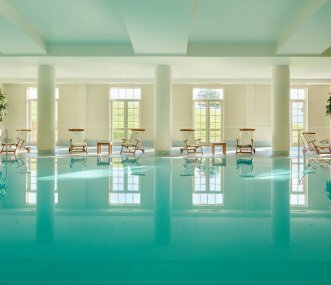 Ideal for spa weekends.